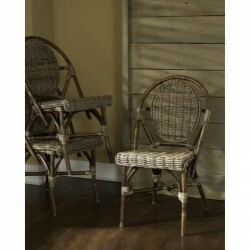 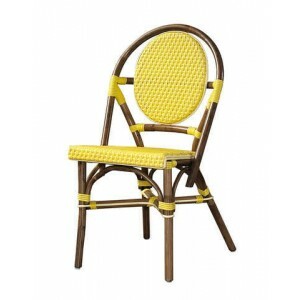 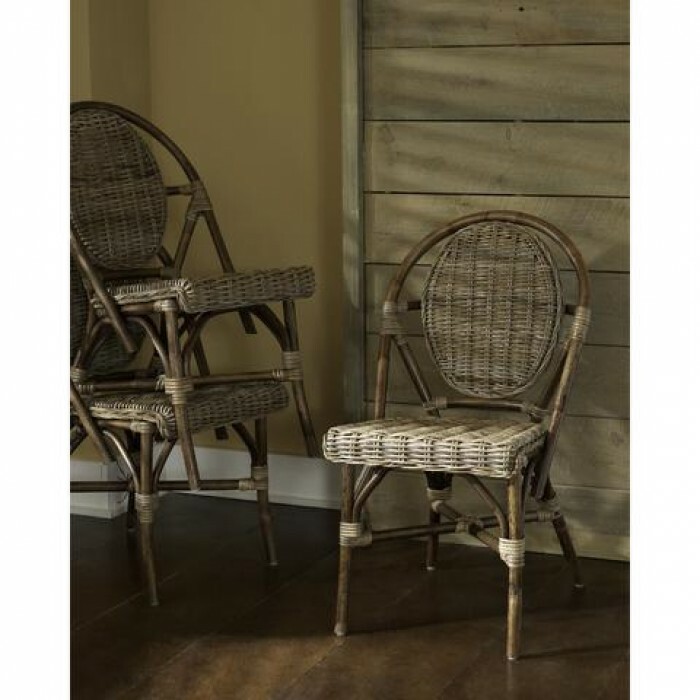 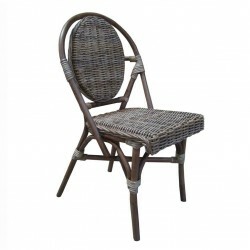 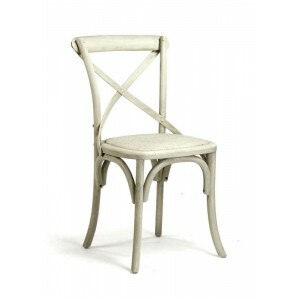 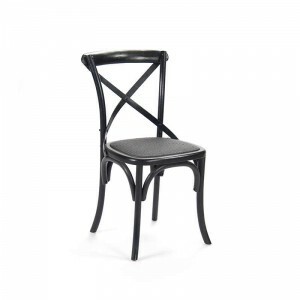 Casual and quaint, this set of rattan-frame dining chairs are inspired by outdoor dining in Paris bistros. 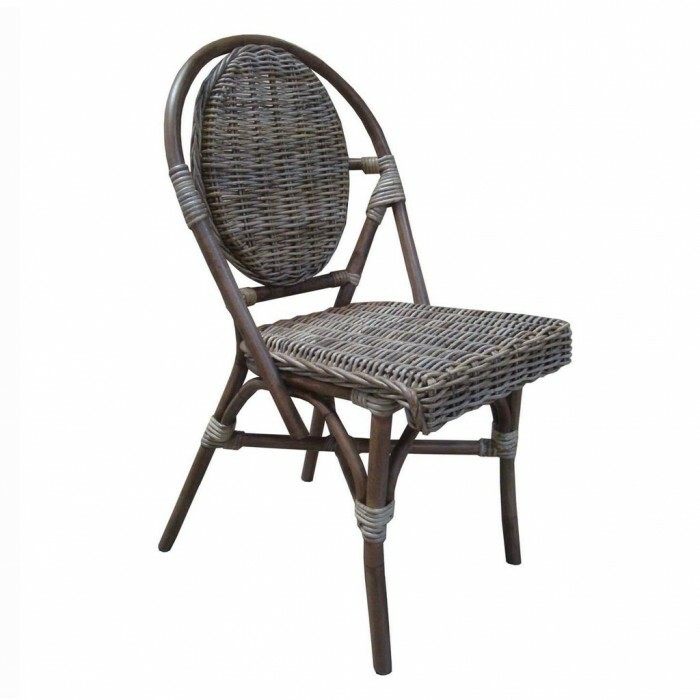 Hand-woven in natural Kubu, the weaving material is a soft gray color, which is achieved naturally by soaking the rattan in local clay and sun-drying it before weaving. 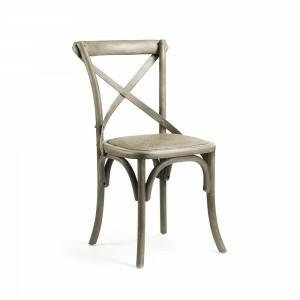 A clear topcoat preserves the color and protects the chair from spills.